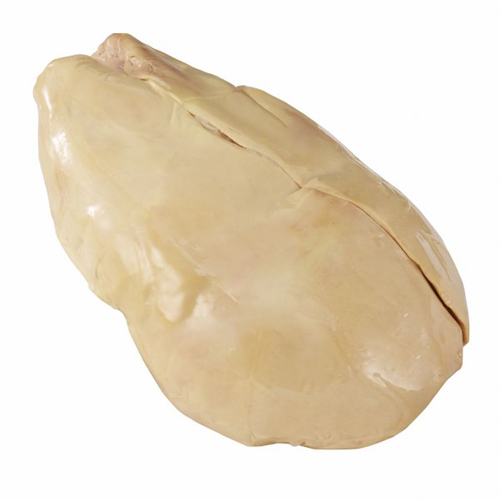 In French, Foie Gras literally means 'fat liver' and can be taken from either ducks or geese. The liver of these animals is so rich and fatty due to the extremely decedent all corn diet that these animals live on. The texture of grade A each side and served hot on toast points for a meaty buttered-bread like effect. Foie Gras is also commonly pulverized into a paste and served as pate, a delicious spread or topping for canape;s. The pate can also be whipped into a mouss e. This contradiction of heavy flavors and fats in a light and airy mousse is always a crowd pleaser.